This harness is made with the same patented safety features and quality as the competition RamPac™ Harnesses. 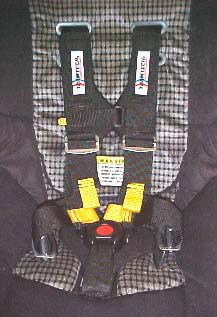 The only difference is that these harnesses are designed with the comfort of little racers in mind. Now you can have a matching child safety harness after your competition harness.